1. The Users module is located in the Company Group and allows all users to customize settings such as name, password, email, timezone, default location, account type, and more. 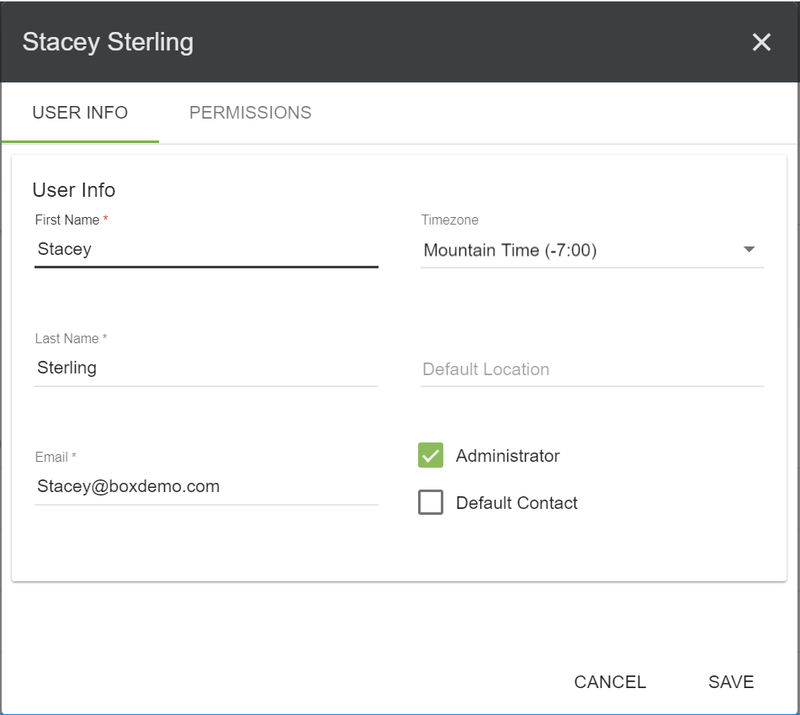 Administrators have access to edit any user’s information except their password. 2. An Admin user can create new users by clicking the New button in the upper right hand corner. The only required fields when creating a user are their Name and Email. 3. 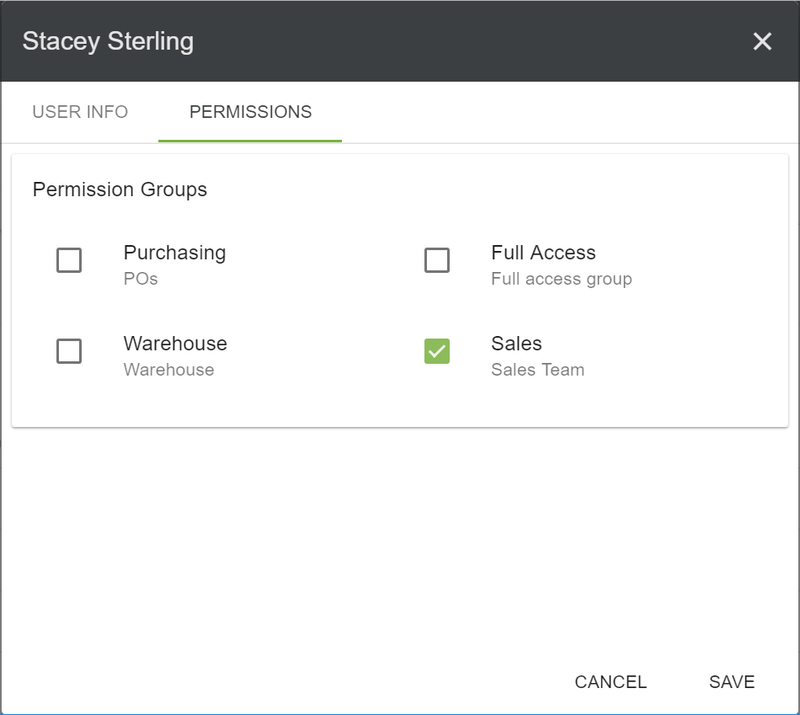 If a user has a default location, this location will automatically be selected when inventory is added by this user. 4. Click Save to save your changes and create the user in the module. To quickly find a user, start typing in the Search field. The Search feature incorporates data from every column. Click a result in the list to open it. 1. To perform a more advanced search, click the Filter Users button in the top left of the page. Select a filter to search by from the list and click the Apply button. Multiple filters may be added at a time. 1. To make changes to a user’s information, click their blue highlighted name to open their account. Make the necessary changes and click Save. 2. To change a password, the user must be signed in to their own account. On the user’s info screen there will be a blue Change Password link. If a password has been forgotten, the user may use the Forgot Password link on the Boxstorm login page. After changing a user password, a confirmation email will be sent to the user’s associated email address. To view the permissions a user has access to, choose the Permissions tab on the user’s profile. Information here must be changed by admin users. Click Save to save any changes. To see the history, click the Show History button on the User’s line. The list can be filtered using the search field, and may be sorted by clicking a column header. Click the Column settings button to customize the columns that are visible, the Print button to print the current view, and the Export to CSV button to export the current view.